The Siberian Tiger, also known as the Amur Tiger, is a very less-populated subspecies of tiger, and is primarily found in the regions of Russia. They are a hefty species of cat with stripes all over their body and long whiskers. Compared often to the Bengal tiger, the Siberian tiger has the looks and features that are much similar to the Bengal tiger. Both these species rank among the biggest living cats in the modern world. However, their rapid decline in count and physical characteristics has been a matter of major concern among conservationists. Size: The Siberian tiger can reach a length of up to 10 feet, with the tail attaining an average length of about 3 feet. The height of these felids is 3 to 3 ½ feet (.9 – 1.1m) at the shoulders. Weight: The male amur tiger can weigh around 320 kilos. However, the female of the species is significantly lesser than the males or in other words, almost half their weight at around 180 kilos. 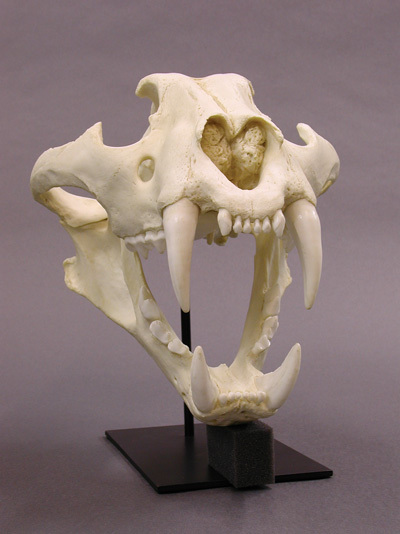 Skull: These tigers can be distinguished by their big skull, which is almost similar to that of lions. 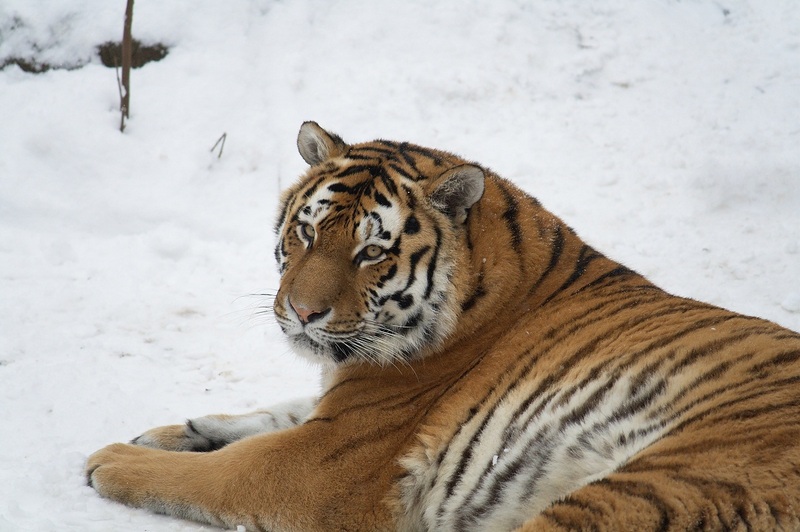 Fur: Unlike the Royal Bengal tigers, the Siberian tigers have dense fur and also manes, which help them stay warm in the cold snowy weather. 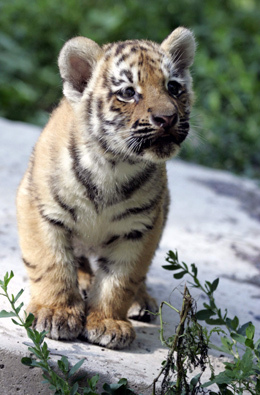 Their stripes are fewer and paler, which make them differentiable from other tiger species. Color: The amur has black stripes on yellowish to orangish base. The inner walls of their arms and their chest and stomach area are white. The hue or coat color of these tigers is much lighter, as compared to other tiger species. 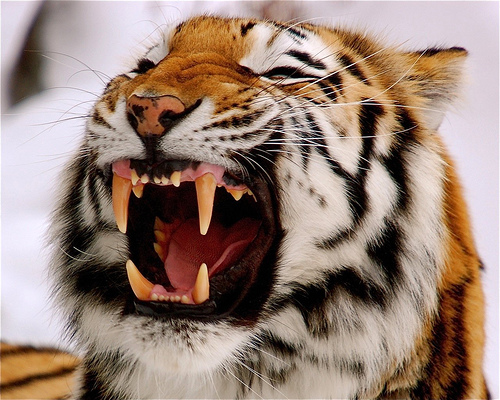 Teeth: Like other tigers, the Siberian tigers too have lesser number of teeth than other carnivores, with only 15 pairs of teeth (total 30), including one pair of canines each in the upper and the lower jaws. Normally, in the wild, the life span of a Siberian Tiger is 10-15 years, however, in captivity, they can live for up to almost 20 years. 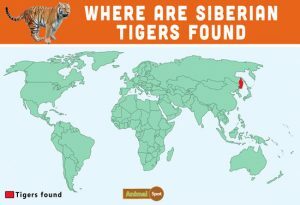 The Siberian tigers are distributed within a very limited range in the southeastern region of Russia (Tiga). 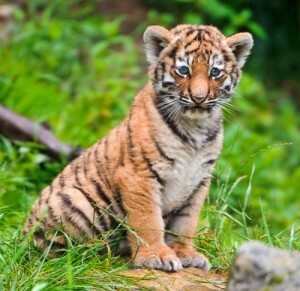 A small number of these tigers also dwell in some regions of North Korea and China. 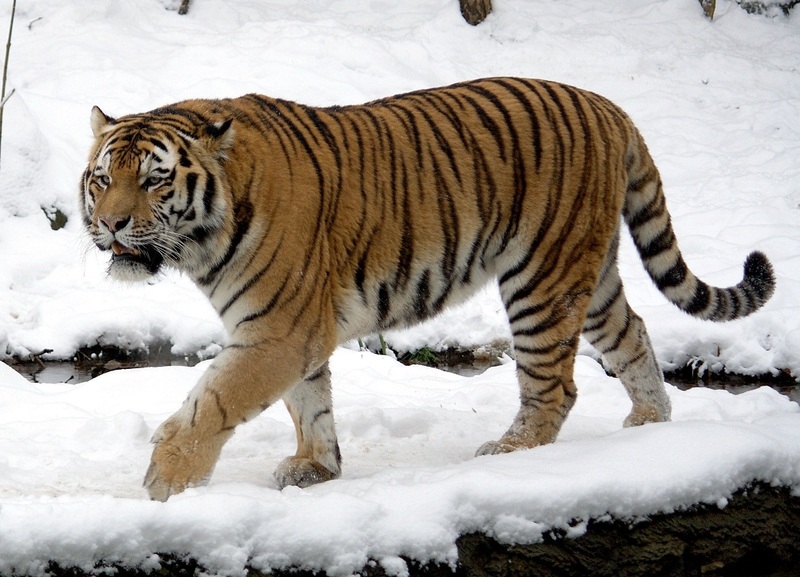 The habitat of the Siberian tigers is mostly the snow-covered hilly regions, where they actually belong. Like all other tigers, these tigers prefer to live in the forest areas. 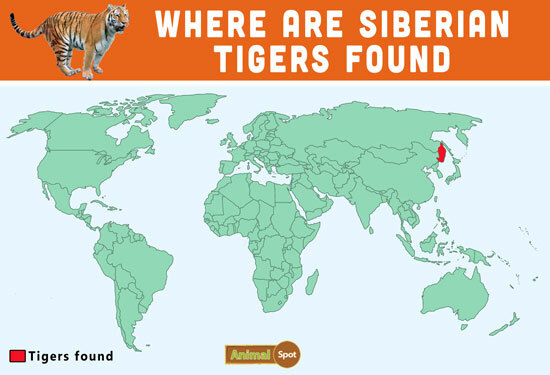 The amur tigers have their own territories. They mark their territories leaving their scent on trees to keep other tigers (competitors) away so that, they can find their own prey. However, they can also roam long distances (up to 1000 km) in search of their prey. These tigers live alone, and do not move in groups. This is mainly because it is easier for one single tiger to startle its prey, rather than attempting to appear suddenly in groups. The Siberian tigers stalk their prey until they are close enough to pounce. They are nocturnal hunters and usually prefer hunting down their prey by stealth. They hide waiting until they get their prey comfortably close. They are frequent hunters because they are not always successful in their preying attempts. The tigers can devour up to 27 kg of flesh when they are famished. However, as their daily food, they normally need up to 9 kg in one go. The diet chart of the Siberian tiger is vivid. They eat almost every animal available in the region, from bears to fish or, deer to rabbits. Prey species of these big cats include sika deer, musk deer, goral, moose, red deer, Siberian roe deer, Ussuri brown bear, grizzly bear, wild pig, Asian black bear, Manchurian wapiti, and other smaller species including rabbits, pikas, hares and salmon. Amur tigers have been reported to prey regularly on full-grown Ussuri brown bears; however, they commonly prey upon the younger ones. The Siberian tigers can mate at any time of the year. As a mating behavior, the female leaves its urine and scratch marks on tree trunks before mating, in order to signal her receptiveness. The couple spends around 5 to 6 days together, during which, the tigress is receptive for about 3 days. The gestation period of the Siberian tiger is 3 to 3 ½ months. 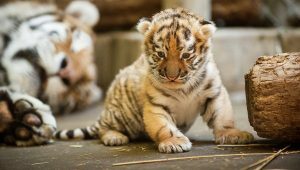 The litter size of these tigers is 2 to 4. 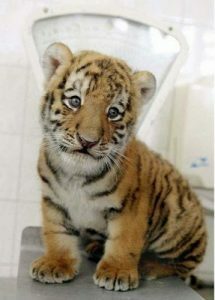 However, birth of as many as 6 Siberian tiger cubs at a time has also been recorded. The cubs are born blind and live in the den with their mother, where the mother leaves its cubs all alone when it goes out to gather food. The female tiger needs little or no help from the male to raise the cubs. The baby tigers live with their mother until they are matured at around 4 to 5 years of age. The cubs cannot hunt on their own until they are matured by age. Because of their size, strength and ferocity, the Siberian tigers have no known wild predators in their dwelling regions. The coloration of these tigers helps them camouflage in the wild, which in turn helps them hiding behind the bushes before pouncing on their prey. The long canine teeth (along with their strong jaws), which are bigger than any other carnivores in the whole world, help them kill their prey just in one single bite. Being primarily nocturnal hunters, by evolution, the vision of the tiger is binocular, which helps them prey five times more effectively during nighttime. The Siberian tiger’s ability to devour almost 100 pounds of meat at one sitting and hold their food helps them derive energy even when winter season lasts for months, and they can survive normally. According to the World Wildlife Fund, the present population of these extremely rare mammals is 400 (as of 2014). 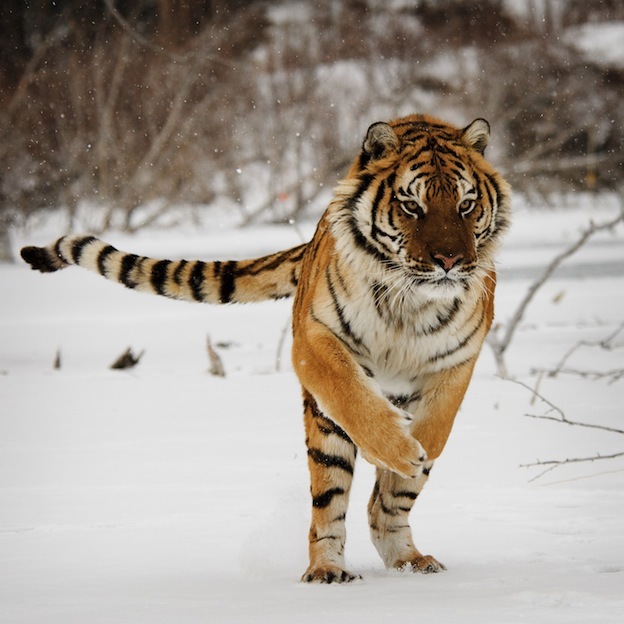 The main cause of the rapid fall of the population of the Siberian tiger is poaching. These tigers have frequently been hunted down for their skin. In spite of their ill reputation, the amur tigers do not really attack humans, if not provoked. Although, some individuals can become ferocious by nature. Generally, such infrequent maneaters are either sick and are unable to hunt normally, or else, live in such territories, where their natural preys are available no more. The IUCN 3.1 has categorized the Siberian tiger under the ‘Endangered’ species list. The existence of ‘White Siberian Tiger’ is a misconception. No scientific evidence of any specimen of white Siberian tiger dwelling in the wild or born in captivity has been found till date. For this reason, a true Siberian tiger can never have blue eyes, because it is only the white tigers that can have their eye-color blue. Like most other tiger species, these tigers can jump as high as up to 12 feet. 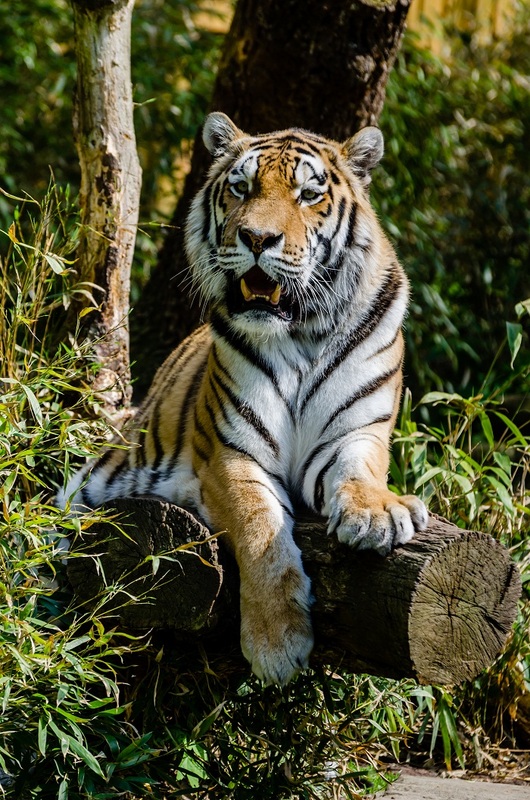 History records that, during the Russian Civil War, both the Red Army and the White Army based in Vladivostok almost wiped out the local Siberian tigers. Siberian tigers are popular exhibits in the captivity of the zoo. In a project based on 83 specimens caught from the wild, these tigers are bred under the protection of the SSP (Species Survival Plan). 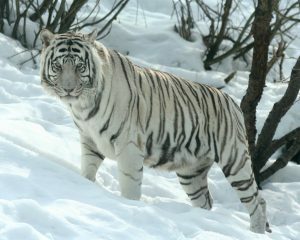 The striped pattern of the Siberian tiger is unique. It is like human fingerprints. No two individuals have the same pattern of stripes on their body.